Airframe: 111 Hrs since Restoration Props: McCauley Don't miss the chance to own this aircraft. 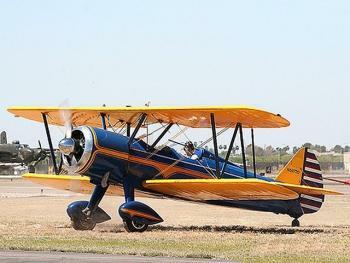 Click here for more details..
Next Annual: September, 2019 The Stearman (Boeing) Model 75 is a biplane used as a military trainer aircraft during the 1930s and 1940s. Stearman Aircraft became a subsidiary of Boeing in 1934. Widely known as the Stearman, Boeing Stearman or Kaydet, it served as a primary trainer for the United States Army Air Forces, the United States Navy (as the NS & N2S), and with the Royal Canadian Air......more.